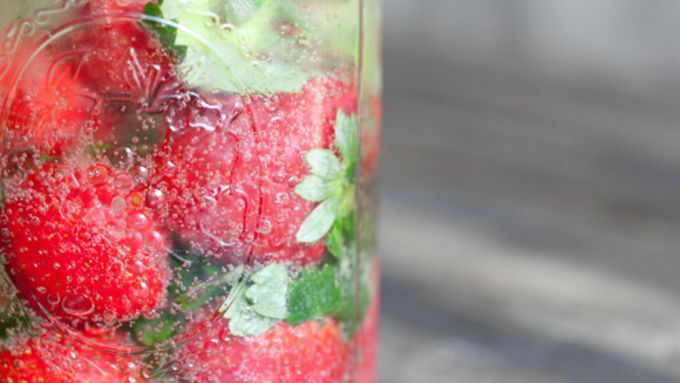 Fill a large jar with fresh strawberries. Pour Champagne over the strawberries until they are all covered. Let them sit for 20-24 hours. 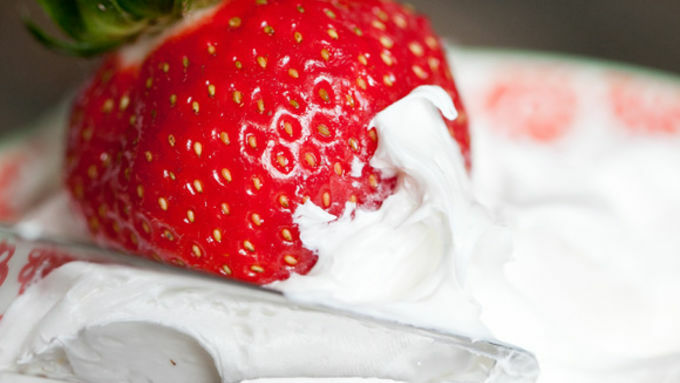 Pat the strawberries to dry them and then dip in the fluffy frosting. 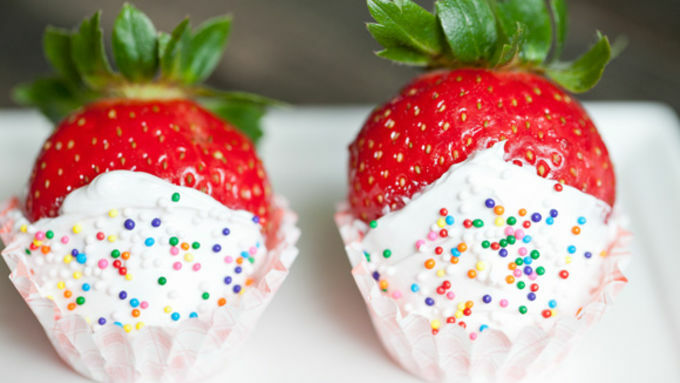 Sprinkle with Decorating Decors to add some color and serve in mini cupcake liners. We all know strawberries and Champagne go together like peanut butter and jelly. 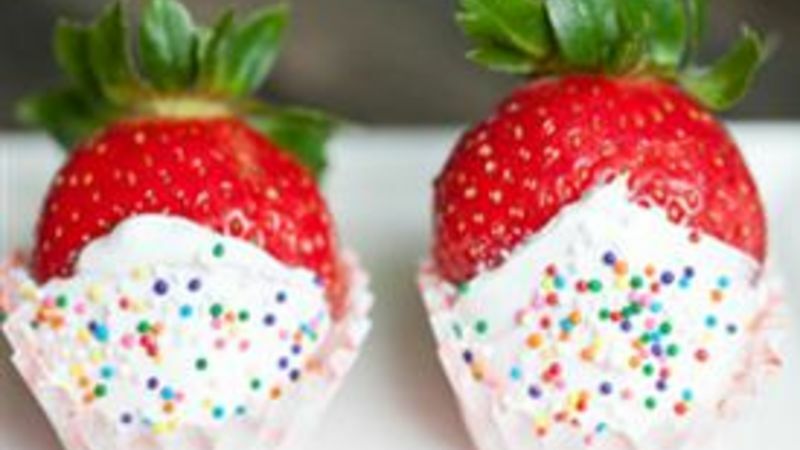 Eat a strawberry, then sip your Champagne … But have you ever thought of Champagne-Soaked Strawberries?! Wow, that's even better! 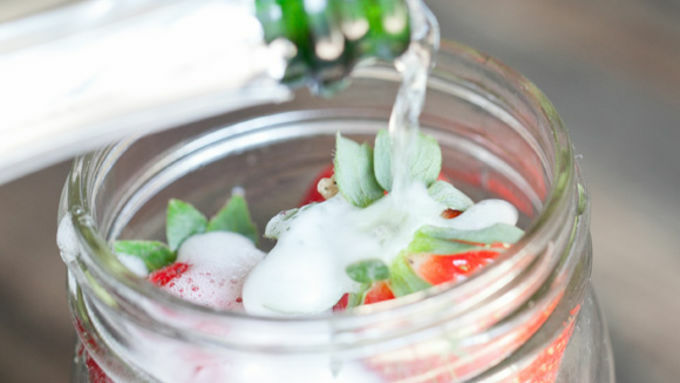 The strawberries soak up the Champagne like they were made for it. They turn out so plump and juicy it’s almost impossible to bite into one without needing a napkin! I think it’s going to be a challenge to eat a “non-spiked” strawberry now. To gild the lily and add a little extra sweetness, I dipped them in Betty Crocker Whipped Vanilla frosting. Yum! I also added a touch of sprinkles to bring some more color to them. The good thing about these is that you can customize them to your party. Just dip them in dark chocolate or chocolate frosting and add any color of sprinkles you like! I recommend serving them in mini-cupcake liners as they’re much easier to grab and eat with a liner. The perfect finger dessert for any occasion! Let's get fancy, shall we? Sprinkle with Decorating Decors and place in mini-cupcake liners. Enjoy! Pop a few more bottles of bubbly for these tasty champagne treats.